Concrete is the most commonly used manmade material in the world, and is the second most commonly used substance, coming in just behind water. The concrete industry is worth an incredible sum, totaling over $37 billion! Ever year, around 10 billion tons of concrete is produced and poured. All that being said, chances are concrete is included on some part of your home or landscaping. The oldest man-made concrete mix we know of dates all the way back to 500 BC. Concrete can last thousands of years thanks to its strong makeup and versatility. Unfortunately though, that doesn’t mean your concrete patio or driveway is going to last thousands of years without incurring cracks, dents or other issues. 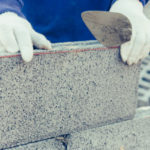 Not all concrete is made equal; some mixes are far superior to others, and some are made to withstand a lot more weight, as well as wear and tear. 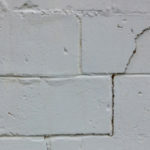 Also, the exposures your concrete is regularly forced to endure can alter how well it ages over time. So how can you make your concrete last longer, and how long does concrete generally last? The lifespan of concrete depends on environment, services, preventative and maintenance work. Another factor is where the concrete is poured, for instance a driveway or road won’t last as long as a concrete pillar. One great thing about concrete is that it actually becomes more durable over time. Concrete is made from a highly complex, unstable and chemically reactive materials that continue to cure over time. Concrete is an excellent option for your home, landscaping or business. After all, the genius Thomas Edison knew it before most others, as he contracted and lived in the first precast concrete home. The strength and durability of concrete can’t be matched by asphalt, which is why an asphalt driveway is going to cost you half as much money as a concrete driveway. Asphalt may last around 20 years at most and will require a lot of touch ups in between. Concrete driveways can last 30+ years without the same amount of maintenance work. Due to the strength of concrete it is often forced to endure a lot of wear and tear, with people walking all over it, water seeping beneath the surface, and 2-ton cars cruising over the top. So how can you make your concrete last longer? You can add a sealant to your concrete to keep out water, as well as car fluids, salt and other chemicals known to stain and break down concrete materials. When concrete goes through the original curing process it releases much of the water from the mix through the surface. This creates a path for water and other forms of moisture to continually seep back inside. Water may contain salts, carbon dioxide and acidic compounds that will then travel to the interior of the concrete and cause corrosion and other issues to form. You can help extend the life of your concrete and reduce maintenance work by simply having a professional recommend the appropriate concrete sealant. 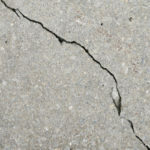 When you start to notice wear and tear such as cracks in your concrete it’s time to call out the professionals for maintenance work. Frequency of concrete maintenance will vary depending on where your concrete is located. For instance, a concrete driveway will require more maintenance than a backyard concrete patio, simply because a driveway usually endures a lot more wear and tear. Regular maintenance prevents stains from seeping in and helps fill in cracks before they have a chance to expand and cause greater damage. As mentioned earlier, concrete continues to cure and get stronger throughout it’s lifespan, but in general it takes 30 days for concrete to cure to its advertised strength. If you overuse concrete too soon you can create damage and reduce its lifespan. Carefully follow the instructions provided by a professional in order to get the most out of your concrete down the line. There are many different kinds of concrete available on the market. The right concrete for a project depends on where concrete is located, average weather in the region and how much weight concrete needs to support. Finding the right concrete for a project ensures it lasts much longer. Know how much weight your concrete is capable of enduring before pouring it on your driveway and expecting large vehicles to drive across it regularly. Looking for long lasting concrete or just trying to extend the life of your current concrete? 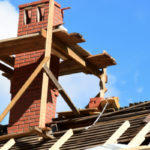 Contact Turnbull Masonry today for superior service and results!